From new believers to seasoned Christians, I have found this book to be a profitable read for all women in the faith, no matter where you are in your journey and relationship with God. 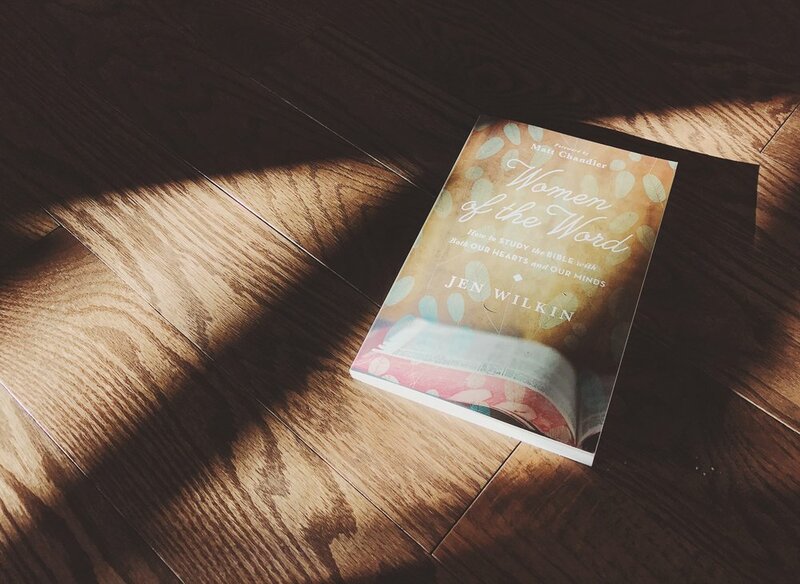 There is no doubt that there are quite a few books in Christian bookstores that aim to equip you how to read and study the bible, but fewer that I have come across as well accessible as 'Women of the Word' which explains why as well as Jen Wilkin. Having breezed through this book I feel assured more than ever as to why and how I should approach scripture, as well as understanding why and how some methods are actually counterproductive and dangerous. Throughout her book, Wilkin provides biblically sound reasoning to the weight and importance of knowing the word well and has offered me some incredible and God centred truths and tools to enrich a lifetime's study in knowing God. Having read this book, it's helped me discern ways in which we approach scripture that barely touches the surface of who God is or, worse still, offers us a shallow and false idea that the Bible is a mere roadmap or user manual for our life, of which I have been guilty of. I am thankfully reminded through "Women of the Word" that the Word is God's story and primarily a book about Him, and I am invited to examine, study and fall in love with the person and work of Jesus throughout the whole of Scripture all over again. Is it too much for me to say how excited I am with all the gifts that came with the book? Not physical gifts, but gifts of knowledge and practical tools that will serve me a lifetime. I can only imagine the depths and the riches of the gospel and knowledge of God that I have yet to uncover with all the new digging tools Wilkin has communicated to me through her book. Moreover, for even the more seasoned students of the Word, I have found that this book has helped given me the language and understanding to help equip other women who are struggling or discouraged by in studying the Word. I have so far been able to use illustrations and practical tips to help equip other women and to also encourage and inspire. The author empathetically witnesses the reward of overcoming the frustration, confusion, busyness and even indifference that we may all feel towards God's Word. She witnesses to the profit of labouring through some of the hardest texts and encourages me to do so not only for my own personal relationship but also for the furtherance of the gospel. I am further encouraged to invest in my knowledge of God for the long-term profitability, comparable to a long-term financial investment or my RSP, for the purpose of making God known more throughout the equipping and building of the church. I better understand the weight and necessity for women in the church to be grounded in the knowledge of the Word that we might not be swayed by the abundance of false teaching and doctrines invade our churches. Because of this, my heart wants to contribute more to my local body that I might help and serve and equip others into knowing God's Word for themselves that they too might discern false teaching and grievous doctrinal error. Knowing my personal responsibility to know and loving God through the washing and renewing of my mind in His Word and the joy set before me, I am more thankful that I get to hold His word in my hand, my mind and my heart. | DISCLAIMER | As part of this review, Crossway has provided a complimentary e-copy of this book to me through Beyond the Page.